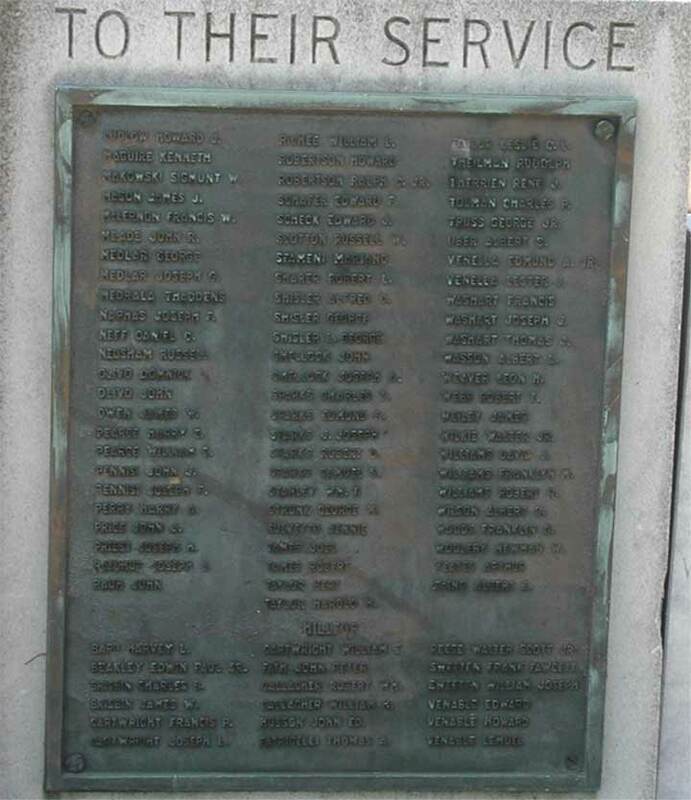 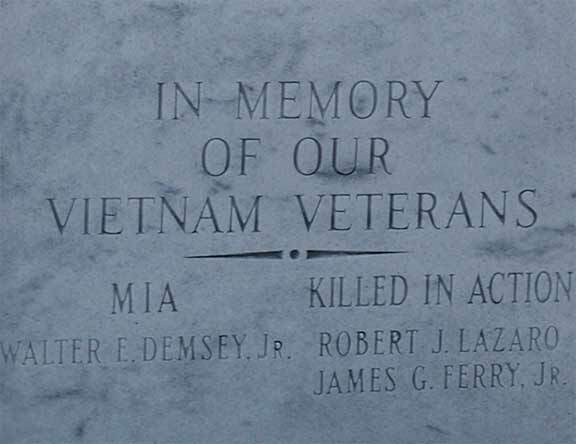 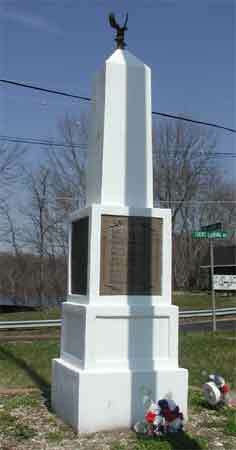 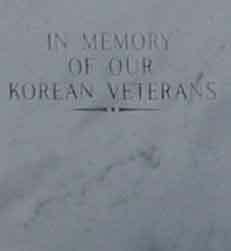 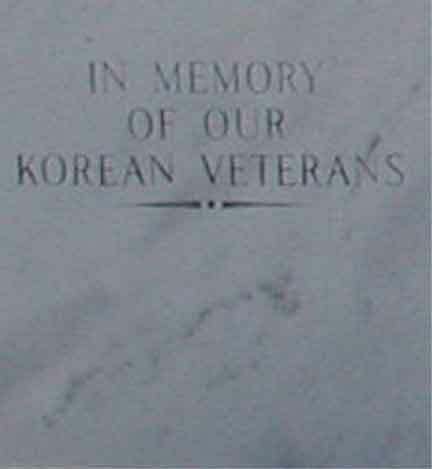 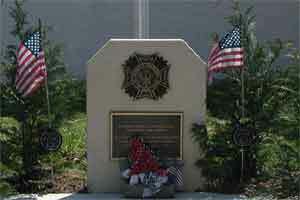 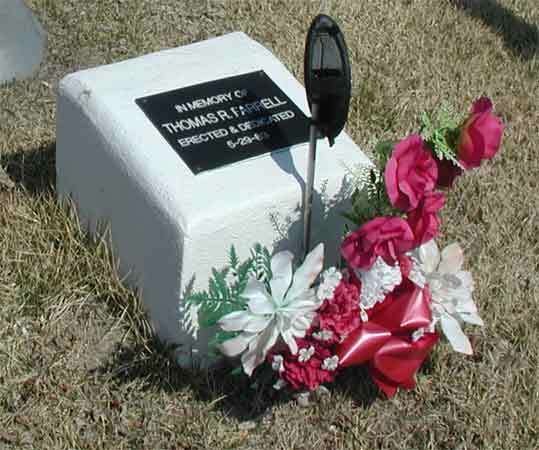 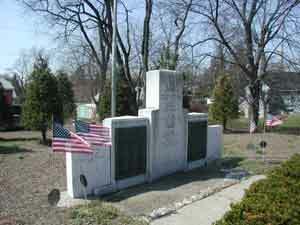 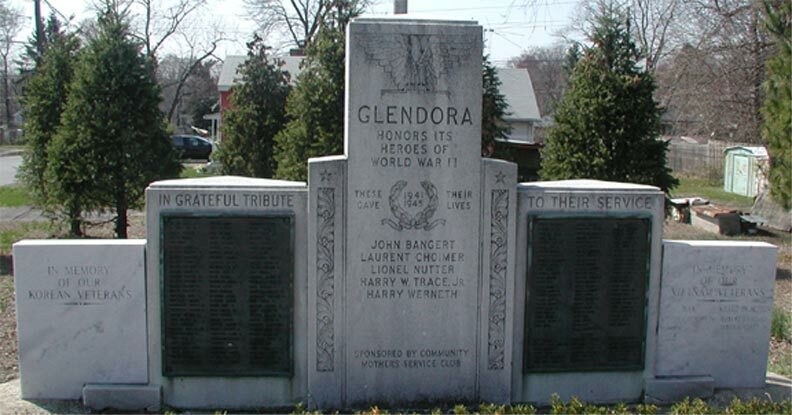 Located on the Black Horse Pike (Route 168) at 7th Avenue in Glendora NJ, this monument is honors those who served the United States of America in World War II, Korea, and Vietnam. 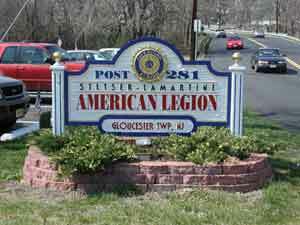 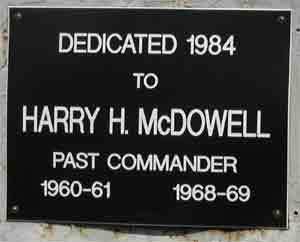 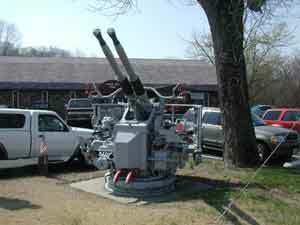 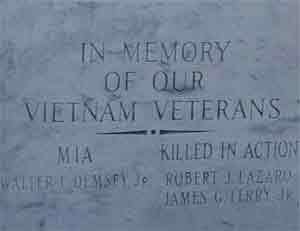 There are also monuments located at the Stetser-Lamartine American Legion Post #281 and at Choimer-Trace VFW Post #8714 nearby. 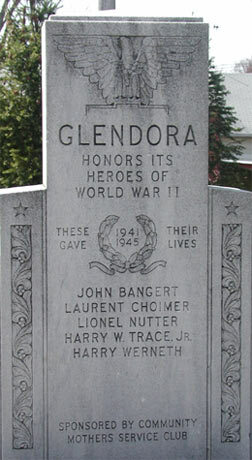 Glendora is one of the neighborhoods that make up the larger Gloucester Township, which also includes Blackwood, Blenheim, and Chews Landing, among others. 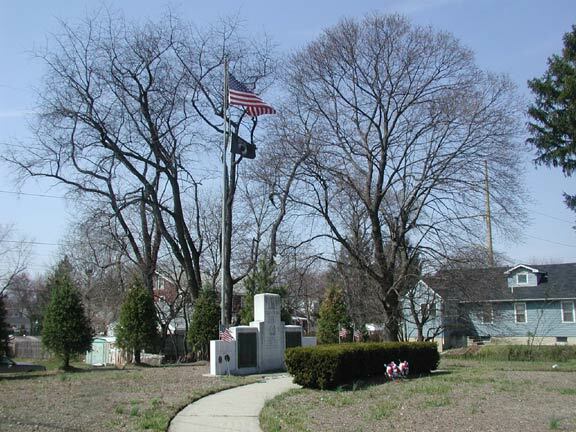 Choimer-Trace VFW Post #8714, 11th St. & Central Ave.
Six men from Camden NJ, Frank Ballerino, Michael Carr, Michael Yachus, Stephen V. Koscianski, Lewis Riondino, and Joseph H. Johnson died together when the troop transport HMTS Rohna was struck by a German guided glider bomb and sank of the coast of North Africa. 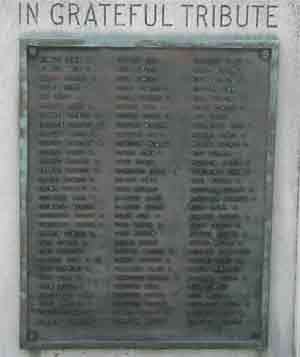 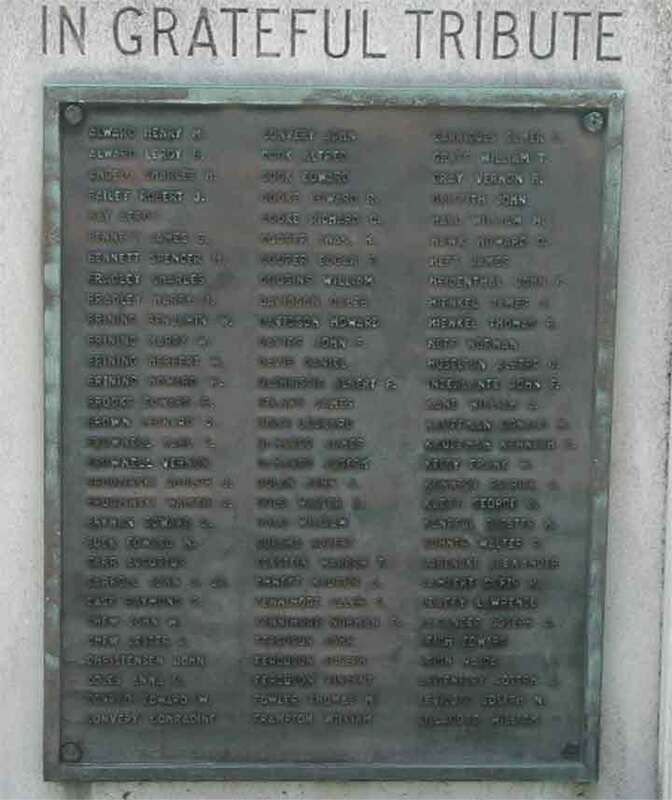 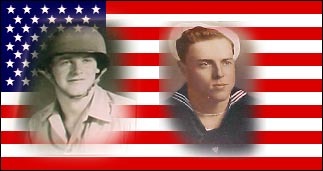 In addition, six other Camden County men, Jacob K. Jenkins and Carl Johanson of Pennsauken, 19 year-old Harry V. Taylor Jr. of Haddonfield, William McKeon of Blackwood, Merl Reagle of Lindenwold, and Elmer F. Day of Merchantville and also were lost that day. 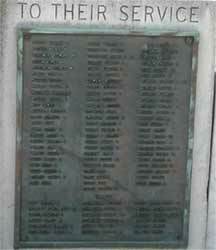 In total, 1,015 men were lost, but the story was never told to the families or the general public for over 57 years due to wartime censorship.